Wenbo Chu, Steve Diggs and Larry Lannom have now officially finished their term on TAB following many years of service. The whole RDA community thanks them very much for the hard work, passion, expertise and dedication that they have given to RDA. Last but not least, this year also marks a change in the TAB chairs. Andrew Treloar, ARDC, who has supported TAB since the very beginning stands down as co-chair. A new TAB co-chair, to work with Francoise Genova, will be announced soon. 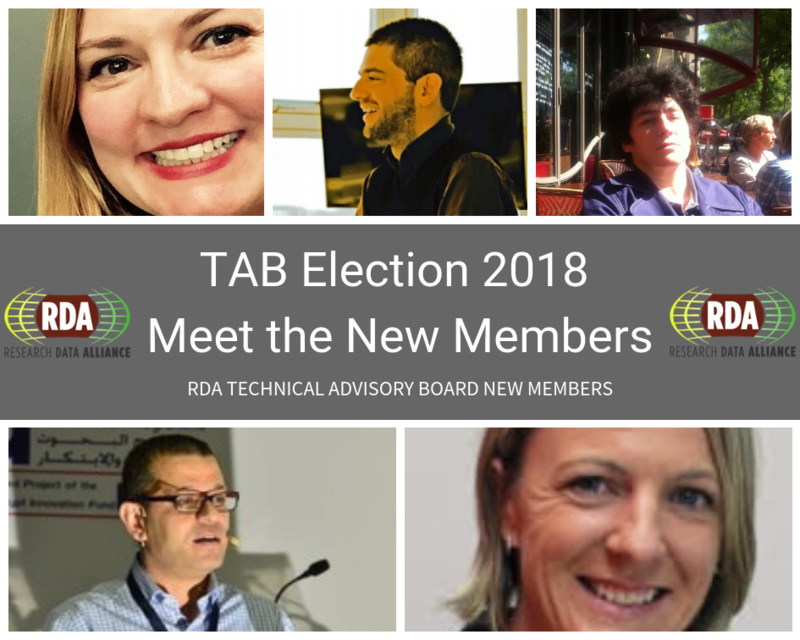 *Dimitris Koureas was temporarily appointed to TAB in April 2018 to replace Ingrid Dillo who was elected to serve on the RDA Council.